Hexagon Composites' subsidiary Hexagon Lincoln has been selected to supply high-pressure hydrogen tanks for the first hydrogen fuel cell vessel in the US. Golden Gate Zero Emission Marine (GGZEM) has been awarded a USD 3 million grant by the California Air Resources Board (CARB), supported by the "California Climate Investments" (CCI) program, to build the first hydrogen fuel cell vessel in the United States. The zero-emission vessel will be the first of its kind in the US, and will highlight the advantages of hydrogen fuel cells for the commercial maritime sector. 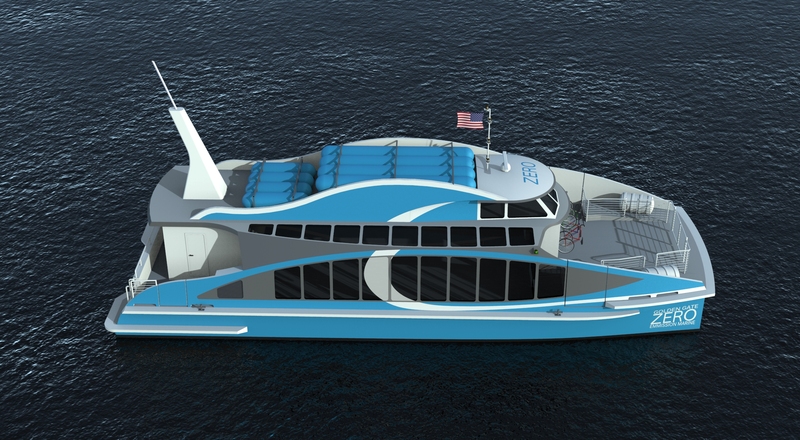 The 70-foot hybrid hydrogen fuel cell-battery catamaran, "Water-Go-Round" has a 22-knot top speed and is powered by dual electric motors, fuel cells and battery packs. The hydrogen tanks from Hexagon Composites will contain enough hydrogen to operate the vessel for up to two days between refuelings. "We're really pleased to have been chosen by Golden Gate Zero Emission Marine to work on the first hydrogen fuel cell vessel in the US," said Trond Seth, Vice President Hydrogen Business Unit at Hexagon Composites. "The state of California is taking the lead in the hydrogen race and we truly believe that this path-breaking project will be an eye-opener for the maritime industry, showing that zero emission technology is already available." After the vessel is launched in mid-2019 it will be operated in San Francisco Bay for the first three months.